If you are a UK property owner and let your home to tenants, then landlord insurance is essential. Whether you own a single tenanted house or have a large portfolio of properties, need minimal cover or an all inclusive package, Ashburnham can provide the policy that is perfect for you. As well as tenanted property insurance, we also provide unoccupied property insurance for vacant or empty homes which are to be let, sold or owner occupied. Public liability insurance is one of our popular types of business insurance and covers you against any third party injury or property damage you cause during the course of your work. With premiums as low as £45 per year for £1,000,000 cover, can you really afford to be without it? We offer instant online quotations and liability cover for landowners, residents associations and private road owners. This cover is intended to protect you from any claims arising from your land injuring someone or damaging their property and the land owner being deemed liable for the costs. We can cover any mixture of the above and even take into account public access, gates, barriers, trees, play equipment, water courses and non-residential (including derelict) buildings. Best quote and easiest transaction, what more can you ask for! Very clear and concise service as always. The website payment schedule is clear and fit for purpose. Easy way to pay. Renewed land insurance via web site process was straight forward and easy. Excellent and reasonably priced service. I really found the advanced notice of renewal useful. Also the reminders are good to nudge me on to actually do the renewal. Thanks again. Site was easy to navigate and obtain insurance cover with minimum fuss.....Excellent. Paying online was very easy. Reminders very good and clear. I chose the Covea policy with you having searched on the comparison websites as well as Direct Line and Hiscox. You were the most competitive. A quick, easy and painless transaction! This site was east to navigate and asked question I could easily answer and the suggestions of coverage were appropriate to my situation. So glad I found this site. All done online. Quick and easy. So much quicker, easier and cheaper than all I looked at previously. Thanks very much. Last year I switched to Ashburnham because of problems with my then broker and found your staff very helpful and courteous. This year you sent me an email for renewal in a timely manner with all the information I need. I have not needed to speak to anyone this year as everything seemed reasonably clear, insofar as insurance is ever clear to non-experts! I used the website and online application to sort out my insurance, very happy with my overall experience. Easy and Quick! Excellent hassle-free service. Thank you. Very simple and easy to set up on the web site compared to other insurance companies. Payment was very easy - thank you! I am really impressed with the value and service Ashburnham has given me on my four hectares. I know my insurance is one thing I don't have to worry about this year. Renewed on line so did not speak to any staff. Transaction very quick and easy. Huge thanks to Eleanor Howard for assisting in getting my additional insurance sorted out, fuss free and lovely to work with. Thanks, Eleanor! Online renewal extremely simple and straightforward. It took just a few minutes to sort. Did not need staff interaction. Online service was very good. Very helpful employees! Great to deal with and for once makes insurance simple!! Tony Fassenfelt was extremely helpful and polite. Will definitely be recommending to family and friends and should you have an employee recognition programme, then I’d very much like to put Tony forward. He was knowledgeable, very helpful, very patient and a pleasure to deal with. He’s a great ambassador for your company. Thanks for the phone message reminding me this renewal was due tomorrow, I’d totally forgotten & would have missed paying it if you hadn’t. Great service & your website was very easy to use to pay online. Many thanks. previously i renew over the phone and the level of service is very good. this time i carried out the renewal via the internet link. it is easy to follow without any problems at all. Web site clear and easy to use. Thank you! We have one main office based in Southend-on-Sea, Essex so when you call us there will be no buttons to push as you will get through to the right place straight away. 98% of our calls are answered within 3 rings by a friendly, knowledgeable member of our team so you will rarely have to wait in a queue or be placed on hold. Also, we have a FREEPHONE quote number meaning it won’t cost a penny for you to speak to us about your quotation. We know some insurers have long, confusing forms to complete which makes getting insurance a chore. We have made our forms with speed and simplicity in mind to make it quick and easy for our customers to get insured. Found out for yourself on our website or just give us a call and we’ll do the hard work for you. We have a panel of leading UK insurers who we use to compare prices, cover and service. These comparisons mean we can give you the exact cover you need at an affordable price. All our insurers are authorised and regulated by the Financial Conduct Authority and we continually monitor them to ensure they provide the expected quality of service to all our customers. We use our knowledge of insurance companies and their products to find the most competitive prices. Cheapest doesn’t always mean best as having the right cover in place is priority. We make sure you get the cover you need for the lowest price possible. We can provide immediate cover over the phone or on our website. Even if you have left it until the last minute, it isn’t a problem as you can get your insurance right now! Also, if you purchase your insurance online, your policy documents will normally be sent instantly via email. 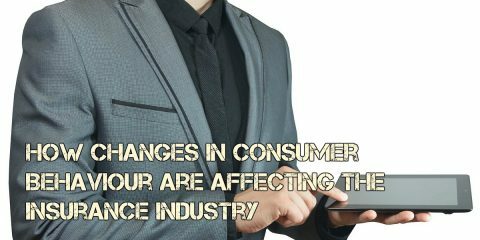 How Changes in Consumer Behaviour are Affecting The Insurance Industry Policy purchasing, renewals, claims and customer service are just a few of the ways that insurance can be made simpler via digital channels. .. 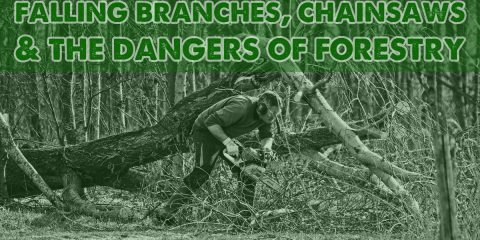 Falling Branches, Chainsaws & the Dangers of Forestry Tree surgeons work in a high-risk environment and so require specialist training to help prevent serious accidents or injuries from occurring. 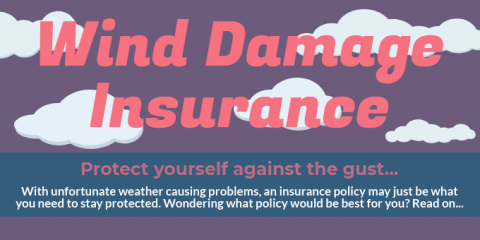 ..
Wind Damage Insurance (Infographic) Wind damage can affect our lives in many ways. The most obvious is damage to the properties that we own but it could also be falling trees or branches that cause damage to other pe ..
Groundworkers and The Hazards of Excavation Most groundworkers understand that accidents will happen. However, not everyone is aware of the different types of hazards and risks that there actually are in the excavation and g ..